Alaska Pipeline, 1980. Library of Congress. "When you look at the environmental coalition that was focused intently on the pipeline ... there are all kinds of different groups. Some of them are saying, no new construction anywhere ... a fringe group. But there's a vigorous debate of, are we trying to stop the pipeline in its tracks and have it not built, or are we trying to make a better pipeline ... It's a lot of people wanting a lot of different things." — historian Joseph Pratt. Different conservation groups had different objectives, but the 800-mile Trans-Alaska pipeline project rallied the environmental community in a way no other project had done before. The groups' common goal was to challenge the government on legal ground, using the newly passed National Environmental Policy Act of 1969, a basic charter for the protection of the environment. "[The law] has two primary purposes: one is to inform federal decision makers about environmental impacts of their actions before they decide to take the action, and the second is to involve the public in that discussion with the decision makers before the action is taken." — Peter Van Tuyn, conservationist, attorney. In 1970, as the oil companies were poised to start construction on the pipeline, the environmentalists fought back, invoking the new environmental protection law. Joseph Pratt: "This to me is one of the more significant laws of the 20th century in impact, of basic balance-of-power changes between the builders and those who oppose them. New legal tools are put in the hands of people who have never had that kind of power to affect the outcome of these issues." The environmentalists went to federal court claiming the oil companies had provided neither an adequate environmental impact study nor any alternative plans as required by federal law. The judge ruled in favor of the environmentalists. For nearly four years, they were able to delay construction, until the oil companies came up with a comprehensive impact study and a design that took into account the environment and the need to protect wildlife. 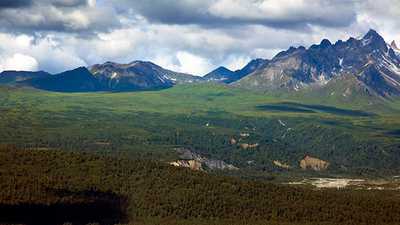 For example, the engineers were compelled to design a pipeline that didn't damage Alaska's delicate permafrost. Peter Von Tuyn: "It demonstrates that this law, which is often by its opponents portrayed as a block to development, can actually be constructively used to make projects better." It's a difficult task to write an unbiased report card of the pipeline's performance. It depends on whether you ask oil industry experts, government officials or environmentalists. The answers are always different. 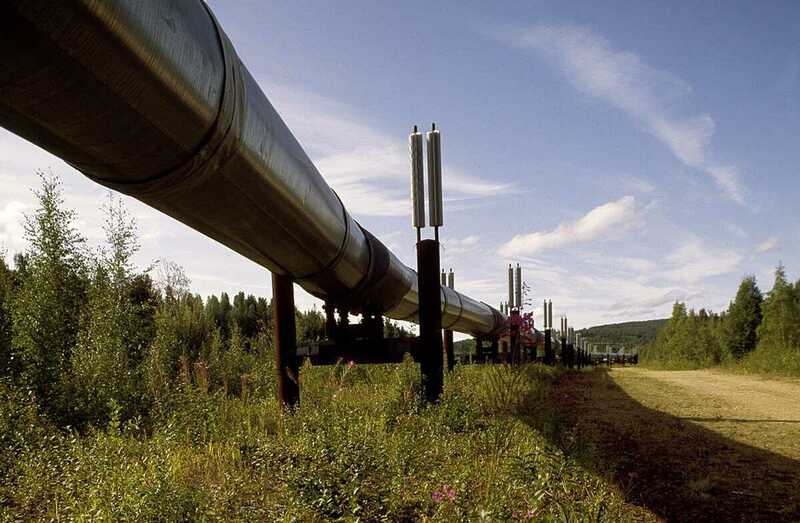 In 30 years of operation the Trans-Alaska Pipeline System has had its share of mishaps. A pump station blew up in 1977, spilling 300 barrels of oil. In 2001 a man shot a hole in the pipeline; before the hole could be plugged, nearly 300,000 gallons of oil had been dumped in to the wilderness. And in 2002, a 7.9 magnitude earthquake damaged several vertical supports that hold the pipe in place. Some conservationists and watchdogs say there is at least one spill a day, while oil industry experts hail the pipeline as one of the world's cleanest. One particular concern was to protect Alaskan wildlife. Conservationists had feared the worst for caribou herds. They believed the pipeline would disrupt the animals' migration routes. When the engineers designed the pipe, they added 554 elevated sections (ten feet high) so the animals could cross under. The engineers also buried the pipe in 23 locations so the caribou could cross over it. Again, reports of how the caribou fared are different. Oil industry experts say caribou populations have doubled, while some wildlife biologists say this could be due to long term factors like climate change. Critics of the pipeline proposal repeatedly pointed out the largely unexamined risks of marine spills in the plan. But no one seems to deny that the biggest oversight in the project was the ocean link between Valdez, the Trans-Alaska pipeline's marine terminal in southern Alaska, and the lower 48 states. In 1989 the Exxon Valdez went aground on Bligh Reef near Valdez, spilling 11 million gallons of crude into the pristine waters of Prince William Sound, threatening salmon, birds, whales, sea otters, and bald eagles. It was the worst oil spill in U.S. history. Since the accident, all tankers are required to have double hulls. Some 32,000 people, including commercial fishers, food processors and Alaska Natives, are still battling it out in court for a settlement. They are seeking $4.6 billion in punitive damages, an amount Exxon says is excessive. After the Trans-Alaska pipeline was completed in the late 1970s, there was a frenzy of interest in preserving wilderness areas in Alaska. In particular, conservationists focused on lands set aside for study as part of the Alaska Native Claims Settlement Act of 1971. Section 17, clause d(2) of that law allowed the U.S. Secretary of the Interior to set aside land to be considered for national park, wilderness, or national forest status. There were still millions of acres of unreserved land. The crusade to save these wilderness areas became a successful nationwide grassroots campaign. It would take nine years for Congress to pass the Alaska National Interest Lands Conservation Act, but in 1980, 104 million acres of land came under federal protection. The legislation constituted the greatest act of wilderness preservation in American history. 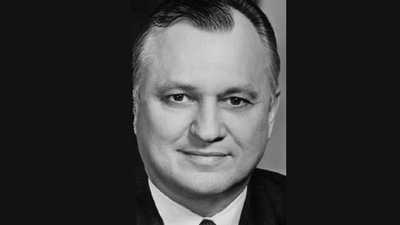 In 1966 Walter J. Hickel, a millionaire real estate developer and entrepreneur, ran for governor of Alaska on the Republican ticket. Much to everyone's surprise, he won by a narrow margin of 80 votes. Almost all Alaskan oil production is on state-owned land, so the state receives revenue from four different sources: production tax, property tax, royalties and corporate tax. 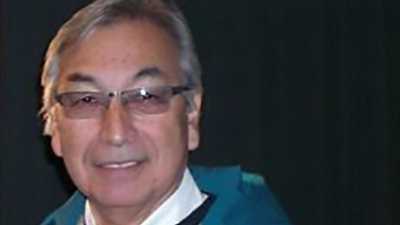 Willie Hensley joined the company in 1997 to act as liaison between Alyeska and the Native community.